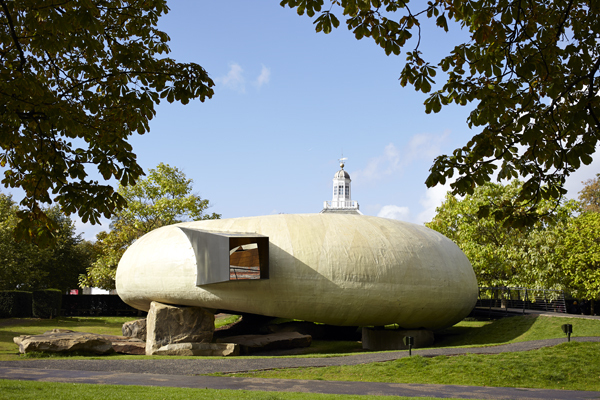 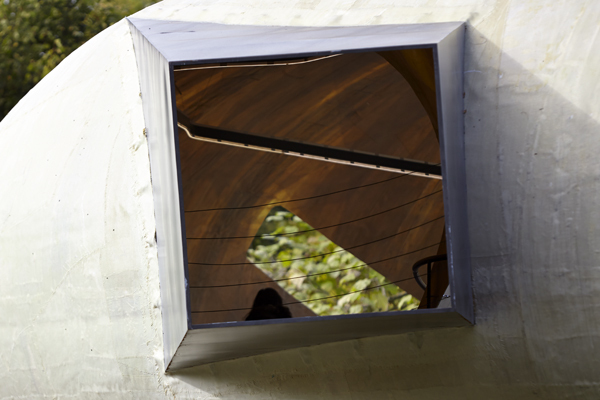 Smiljan Radic’s pavilion came with a deliberate sense of strangeness. 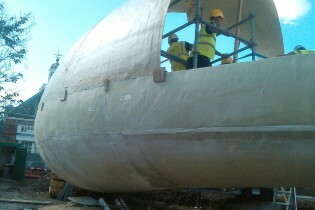 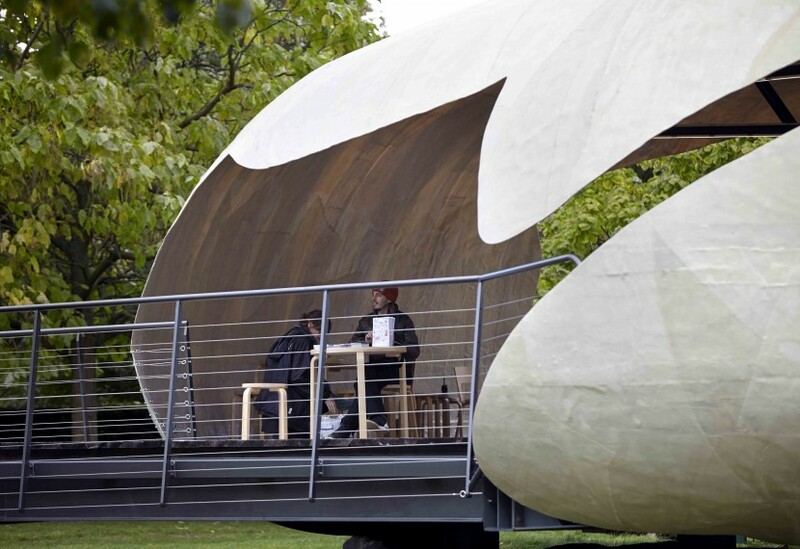 With a hand-made papier-maché appearance, the torus structure of delicate GRP rested lightly on 61 tonnes of roughly hewn stone. 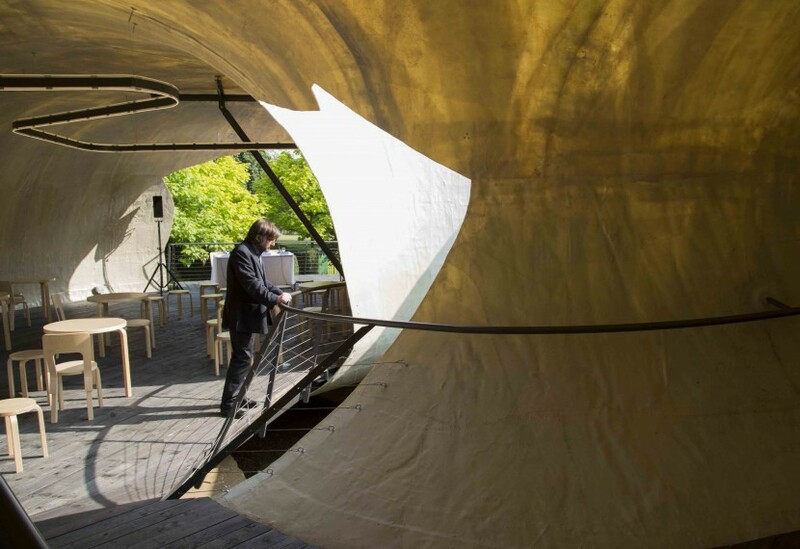 We worked with Radic from his appointment as pavilion designer, helping devise prototype panels and the complex steel frame necessary to realise his extraordinary and beautiful design. 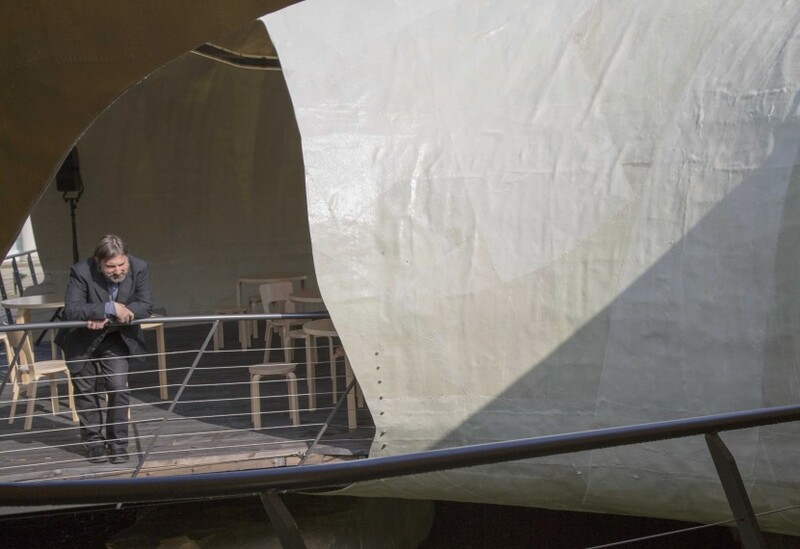 From the outside, the shell-like pavilion looked opaque but once inside, the crude-looking panels appeared semi-transparent, allowing the visitor to feel in touch with the landscape of the park beyond. 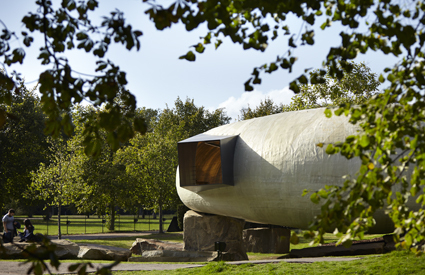 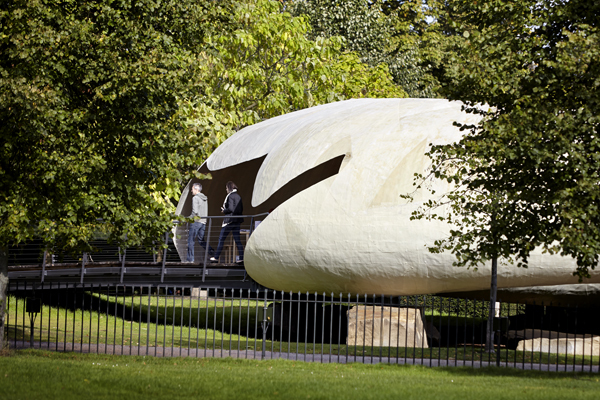 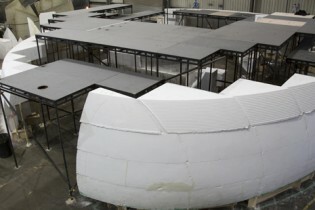 Described by Serpentine Co-Director, Julia-Peyton Jones as “A futuristic design that looks like it has come from the Stone Age”, this pavilion saw us draw on very different manufacturing skills from our previous five Serpentine commissions.